The amazing artists who poured their energy and talent into making Lebanon Elevator. Original Kamel and highly cosmic, Maria João is an eclectic, multi cultural and multi lingual Portuguese singer/composer/writer starry eyed chameleon. With an extensive array of music collaborations, solo projects, label releases, radio airplay and live performances under her astral belt, she combines her passion for her native Fado music with a myriad of world global and ethnopsychedelic music fusions and together with her clone dj Miss MjBLiSS, she brings an uncompromising, no boundaries attitude to her sound and music. She's worked with Glow, Ghostland, Zohar, Johny Human & The Beings, James Asher, Steven Chadwick, David Lowe and Bernard O'neil. Aka Matt Tweed, Matt is a musician, illustrator and all-round Glastonbury gentleman. He has played sitar and bouzouki with an incredible array of musicians including Transglobal Underground, the Spacegoats, Dragonsfly, Seize The Day, and is the bass player and producer for folk-royalty Martha Tilstone's band. Tello plays organ and trumpet and is the living spirit of French 60's and 70's rock and roll. 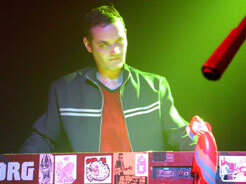 He never takes tents or sleeping bags to festivals and pioneered the use of ironing boards as keyboard stands. One of the UK's top world music DJ's and joint founder of the band, Nelson was the Nitrate to Tony's Kamel. Also one of the founding members of 'Salon Oriental', he has worked with The Dohl Foundation, Talvin Singh, and was a resident DJ at the legendary Anohka Club throughout it’s success. He’s toured extensively with Transglobal Underground, Sitar Funk Club, Joji Hirota & Pete Lockett, and The Dhol Foundation, to name a few. Percussionist, dancer and producer, Guy was described by fRoots magazine as "one of the most versatile and interesting percussionists working in the UK today". Born in Israel to an Egyptian Jewish family, he has over 25 years experience in music ranging from percussion solos in Riverdance (Royal Albert Hall) to leading his own jazz and world music ensembles. Currently he's leading the Baladi Blues Ensemble, for which Kamel Nitrate have done a number or remixes on Baladi Blues: Reloaded Vol 1 and 2. A megastar in the making, Tino is a UK-based singer and dancer with incredible range and soul. Watch this space! Multi-instrumentalist bass/tuba player Paul started his career in variety theatres and circus in Germany. He has played all over the world with a diverse mixture of bands and has a large collection of exotic instruments. He wrote his PhD thesis on the London klezmer scene, played bass with Shekoyokh and fronted music hall comedy band The Dead Victorians. He currently resides in Moscow. Theo began playing keys at the age of 7. He grew up travelling between Europe and the Middle East and moves easily between the two musical worlds. He was inspired by the music of Yanni and loves film scores, particularly from Hans Zimmer and Van Gelis. Over the years he has played in multiple world music bands, worked in film post-production and worked on projects for the Dominion Theatre in London. Currently he is studying film scoring, composing motion soundtracks and playing live. Nika is a London based singer-songwriter with a husky earthy vocal style often compared to Janis Joplin, PJ Harvey and Björk, but also completely her own. She has worked in an eclectic mix of styles, from rock, dance and electro to trip-hop. In the past she was signed to Roger Sanchez's Stealth records and her vocals have been used by a dazzling array of dance producers. Currently she is returning to her rock roots and completing her 3rd album with the help of musicians from Massive Attack, Kasabian and Athlete. Jarmila was born in Poland and can fairly be described as a musical prodigy. She started composing at he age of 5 and studied classical piano for 12 years. She has been acclaimed as a 'Queen of Folk Singing' but also been active in rock, soundtracks, jazz and avant garde. Her vocal power and control is extraordinary and she has been a guest lecturer on extended vocal techniques at Cambridge university. Impossible to sum up in one paragraph, check out her full bio at her website! Currently she is in the final stages of completing her latest album album, 'Aspaklaria', mixed by Grammy award winning engineer Matt Lawrence. 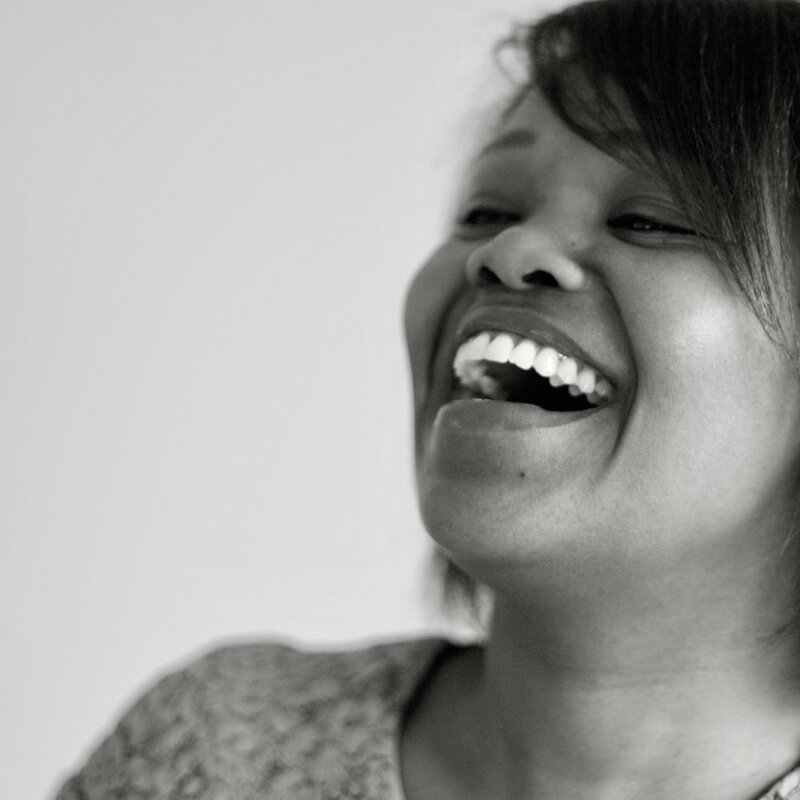 Singer, songwriter and film composer Sharon Gitau hails from London but her musical journey has taken her around the world, collaborating and performing with musicians & DJ/Producers from LA & NYC, to Mauritius, Italy, Mallorca, Barcelona, Holland and Prague, to name some of her favourites. She has been singing and writing music since early childhood and music & film are her passion and purpose. Singing "Lebanon Elevator" with Kamel Nitrate is her first foray as a sonic space-piratess and she’s into it. One of the original Kamels, Samsam is a percussionist, hang player and collector of extraordinary instruments, but perhaps more than anything he is the world's leading Bubbleologist! He holds no less than 10 Guinness world records for various bubble feats and can be found delighting kids, adults and megastars on stages worldwide. David was a founder member of Ska'n'B band Bad Manners, and toured with them for years, collecting several Silver Discs along the way. He's played double bass with many fine people including The Jam Professors, The Incredibly Strange Film Band and Tina Pinder. He helped form The Rollin Stoned - the second greatest Rock'n'Roll band in the world - and can currently be found performing as Keith Retched (vocals and guitar). As an artist he has been a freelance illustrator for over 20 years producing commissioned work for books, records, posters, press ads, billboards, packaging and more. His exceptional talent brought the Kamel With No Name on the CD cover to life! Credits: Double Bass (Careful What You Wish For), CD artwork. Jean Claude has had an incredible musical life as a saxophonist and sideman to Fela Kuti and Gil Scott-Heron among many, many others. He is also a skilled horticulturist, and a chance meeting with him led directly to the final track on the album, Titan Arum! El Crisis raps, sings and chants in a style that flows effortlessly between folk, hip hop, reggae, blues, sea shanty and more. He has recorded with some of London's top hip hop artists including Roots Manuva and Estelle, and performs all over the world with his spoken word and poetry. He created and organised a spoken word event called Dark Sea Scrolls which has shaped the formula for many similar events today. He recently released his debut solo album 'The Contents Page' , which he describes as 'a chilled multidimensional body of lyrical and musical consciousness'. Tony is a producer, mixer and multi instrumentalist who has worked in a giddying variety of styles and bands, from baroque to bhangra. He worked on Tom McRae's debut album in 2001, which received a Mercury nomination for Best Album, and has continued touring and producing ever since. He is a co-founder of Kamel Nitrate but now heads it up alone with the help of the wonderful collaborators listed above!